Should we be designing our children? How does philanthropy work? 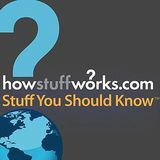 Join Chuck and Josh as they break down everything from charity to children in Stuff You Should Know, a podcast from HowStuffWorks.com.